Spring is here and in the Scullery we’ve been busy gearing up for Farmer’s markets, cookery demo’s and all the while we’ve been testing out some new recipes for brewing and curing with local produce which we hope to share with you over the the next couple of months! So it’s safe to say, we’ve worked up a thirst! Thankfully, a batch of scullery-brewed sparkling cider we started in January is ready to pop, just in the nick of time! In the scullery, we are pretty happy about the resurgence of quality craft cider producers around the country in the last 5-10 years. Let’s not forget the brewers either, and the distillers bringing age-old Irish crafts back home to produce the best quality spirits, beers and ciders using our own locally grown crop – fair play to all of you, we’re delighted you’re here! With the return of the craft, there have been more and more people keen to give home-brewing a try. Maybe it’s because the secret’s out – it’s not that difficult, give it a go! It takes a couple of months to produce the cider, so now’s a good time to start preparing some batches to enjoy a glass of your own home-made sparkling cider in late-spring/early summer (will we get a summer this year?!). The recipe shared below uses Barnhill Apple Juice from Kenny Redmond’s Barnhill farm in Co. Armagh (we’re a sucker for Orchard County Apples!). Barnhill farm have been growing and maintaining traditional varieties on the family farm for over 100 years. The apples are pressed and bottled on the farm and include no additives or preservatives which makes them a great base for the bio-chemical part of the fermentation as some additives/preservatives in other juices can interfere with the yeast’s activity. 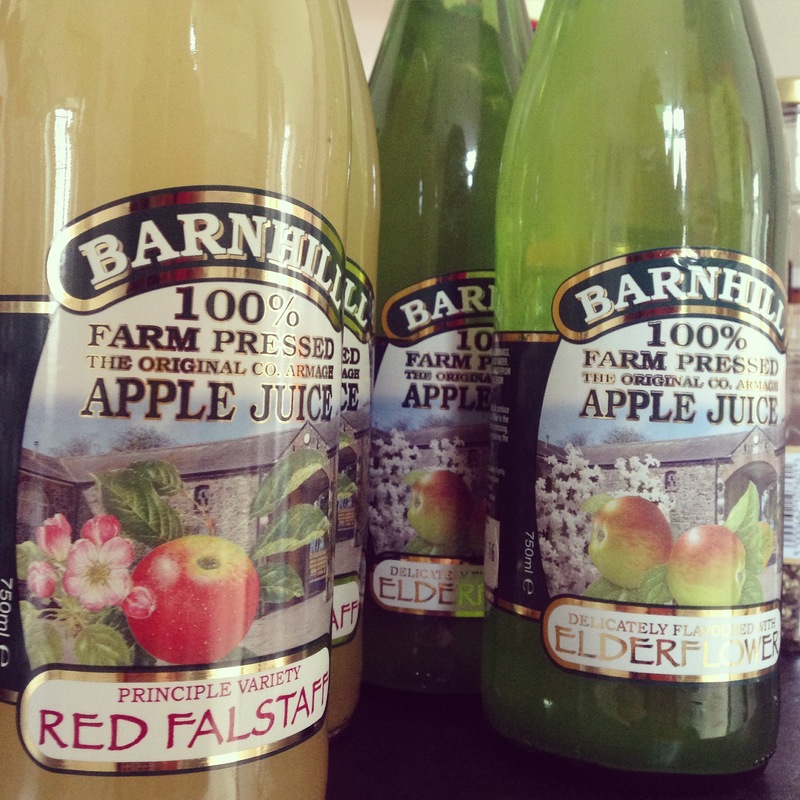 Barnhill have also created a range of juices that have extra flavour from added blackberry fruit, raspberry and elderflower which make for lovely sparkling cider varieties – so you’ll have your pick! Around Belfast the apple juices are available for purchase in St. George’s market, McCreery’s Butcher (Ormeau rd). and at other select Farmer’s markets too. Aside from the apple juice, you’ll need a few essentials to kick-start your home-cidery. Quality, sterile equipment is very important. It’s got to be clean because you’re making the perfect environment enriched for any kind of bacteria/fugus to thrive in so keep it clean to prevent anything but the yeast growing or you’ll spoil your batch. You’ll need a glass demi-john with a rubber bung and an airlock. To transfer the primed cider into the bottle after your first fermentation for conditioning, you’ll need a length of tubing (around 1 Metre) and a rigid plastic tube with removable u-bend (which will help to reduce sediment transfer). You’ll need a yeast strain (dried yeast) for two fermentation steps – first in the demi-john and second in the bottle. Different strains of yeast will metabolize the sugar source in fermentation to give a unique profile of bi-products (that impart flavour) and carbon dioxide (to give the fizz). The recipe below also includes a small amount of sugar which is optional, but adding it gives the yeast in the second fermentation a bit more energy, which is especially important if you’ve had a longer initial fermentation. After that, you’re good to go and all you need is time! Pour one bottle of apple juice into a clean demi-john container and add the yeast. Keep and clean the juice bottle in preparation for conditioning the cider. Swirl the liquid for a couple of minutes to aerate the juice and wake the yeast. Fill the airlock reservoir with water and insert the airlock into the rubber stopper. Seal the bottle with the stopper and leave the demi-john in a warm place (18-22oC) to ferment for 5-10 days. Swirl every couple of days (carefully remove the stopper for this and replace after swirling) to disturb the yeast and introduce more air into the liquid to maintain fermentation. Using tubing and a removable u-bend attachment, transfer the cider into a jug to pour back into the glass bottle. Dissolve the sugar in 50mL warm water and add to the cider with the remainder of the yeast. Seal the bottle and roll to mix the yeast and leave at room temperature to condition for a minimum of 2 months. Serve the cider chilled and enjoy! Share your cider recipes with us on Twitter, Instagram & Facebook. SculleryMade is a Belfast blog sharing recipes using quality, locally sourced ingredients in cooking, brewing, baking and curing. Eggs Benny made with cured or smoked salmon and a proper, thick hollandaise sauce is probably my favourite of the five food groups! I once started a food blog, “Eggs Bennadicted” to share my hollandaise-slathered experiences, but never took that first step into the bloggosphere! I take wee notions to make it at home now and again and if I’ve a bit of time to organize myself, I’ll make it with home-cured salmon. 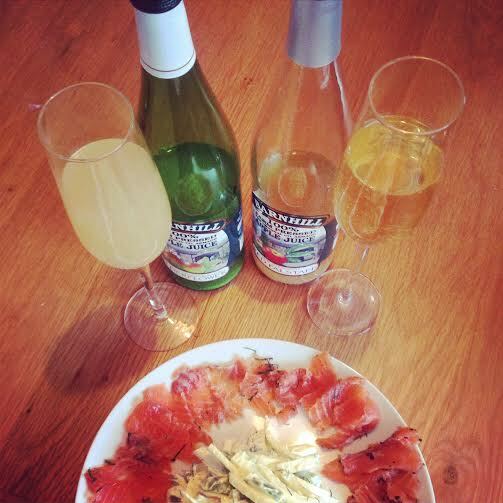 Cured Salmon is not particularly difficult to make, it just takes a few days to plan ahead and you can try it with just about any kind of spirit depending on what flavours you like most (and what’s left in your booze cupboard!). You’ll need just five simple ingredients to make your own; fresh salmon fillets, salt, sugar, spirits and patience – if you have all five, you’re in for a treat! The Earl Grey tea used was a blend from a Belfast Foodie Favourite, Linda from Arcadia Deli on the Lisburn Road. I called in a couple of weeks ago to pick up some Broighter Gold, Guanciale and Young Buck’s to make more Croquettas (I’m still working on that recipe and I’m not 100% happy to share it until I have one more go!) and I was almost out the door when Linda got chatting to me about Thompson’s tea’s. I could listen to Linda talk about food all day, she has such a great knowledge on local foods and is so passionate about the produce Arcadia deli stock’s. She opened up a couple of packets of Thompson’s tea to let me get a real sense of the flavours in each blend and the Earl Grey was the one that stood out to me. I wouldn’t be a fancy tea drinker at all (I think Earl Grey is fancy, maybe you don’t! ), but I immediately thought of a few different recipe’s I’d like to try with this fragrant blend of leaves and flowers and the idea to try a vodka infused earl grey cured salmon sprang to mind! I hope you can get your hands on some to try at home yourself! I have been a big fan of Rademon Estate’s ShortCross Gin since they launched Northern Ireland’s first craft-distilled gin last year. I use their Gin in recipes all the time, (salad dressings & fruit salads in particular, not just cocktail recipes!) because it never overpowers a dish and here it adds a lovely floral flavour to the cured salmon. The flavours from the Gin would be overpowered by adding too many other ingredients, so I just seasoned with a little cracked black pepper to give a spicy hit in every couple of bites! I love Irish Whiskey and I wanted to try a Ginger and Whiskey cure with a touch of lime and chilli – this third cure blend gives a “wetter” cured salmon and the acid in the lime leaves the Salmon with a pale white coating, but that’s the nature of having a more acidic cure so don’t worry if it stands out a little differently to the other two. This salmon is best enjoyed with a wee dram of the same Whiskey, because you’ve gone to all the effort – reward yourself! Label three sealable sandwich bags for each of the cures. Mix all of the dry ingredients for each cure in the individual cure bags. Rinse clean each of the salmon fillets with cold water and remove any bones with tweasers. Using a pastry brush, wash the salmon flesh with the alcohol then transfer the fillet into the bag of dry cure and cover the flesh completely with the cure. Pour the remaining alcohol into the bag taking care not to wash any cure off the flesh. Seal the bags and cure in a fridge for a minimum of 24 hours. Before serving, rinse the cure off the salmon with cold water and holding a sharp kitchen knife at a 45degree angle, slice the salmon very thinly. 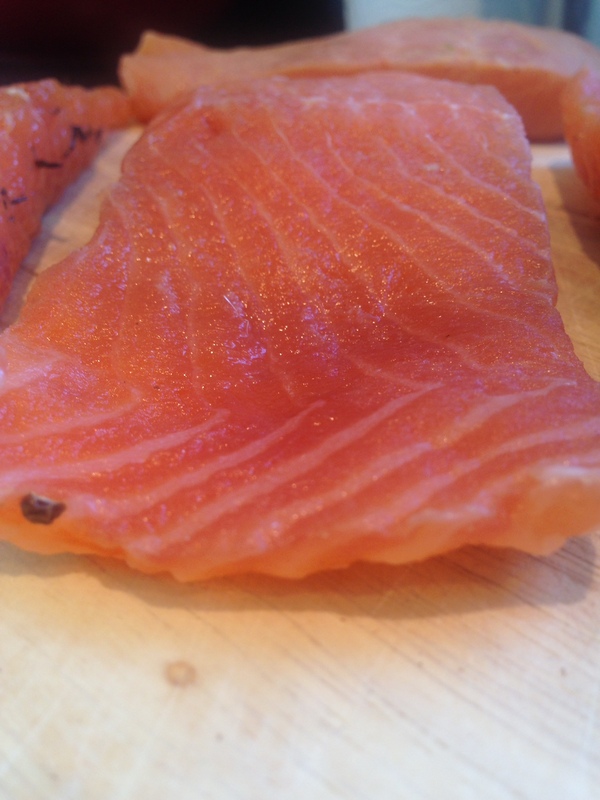 Don’t keep the cured salmon for longer than 48hrs after curing (that’s a total of 3 days from fresh). The freshly sliced salmon can be frozen and used within 24hrs after thawing. We hope you try this in your kitchen and we would love to hear your feedback – don’t forget to share your recipes with us on Twitter, Instagram & Facebook. 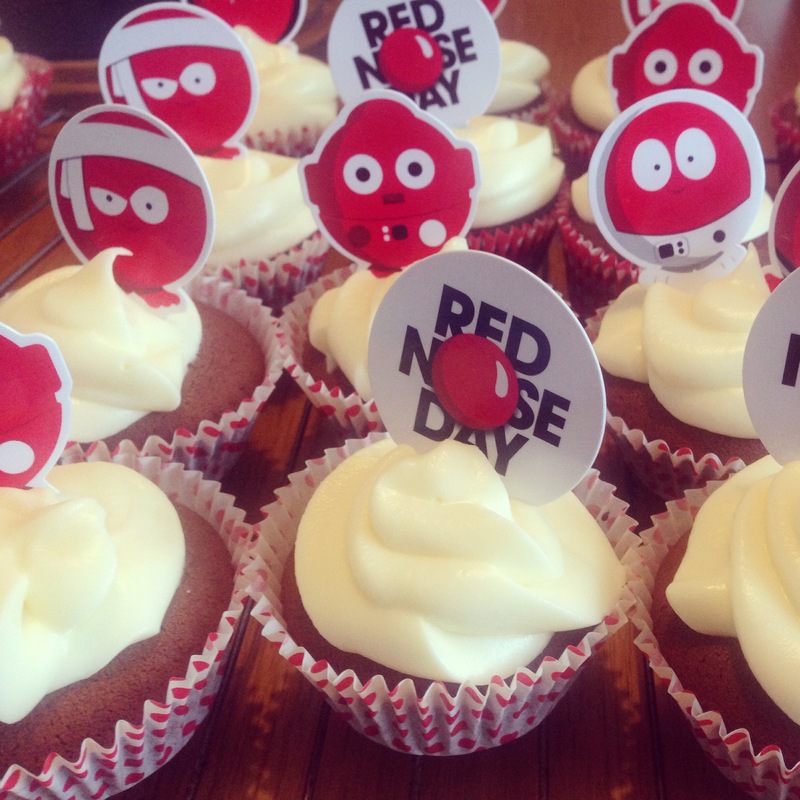 In honour of Comic Relief’s Red Nose Day, March 13th, I wanted to share some red themed recipes from my kitchen! 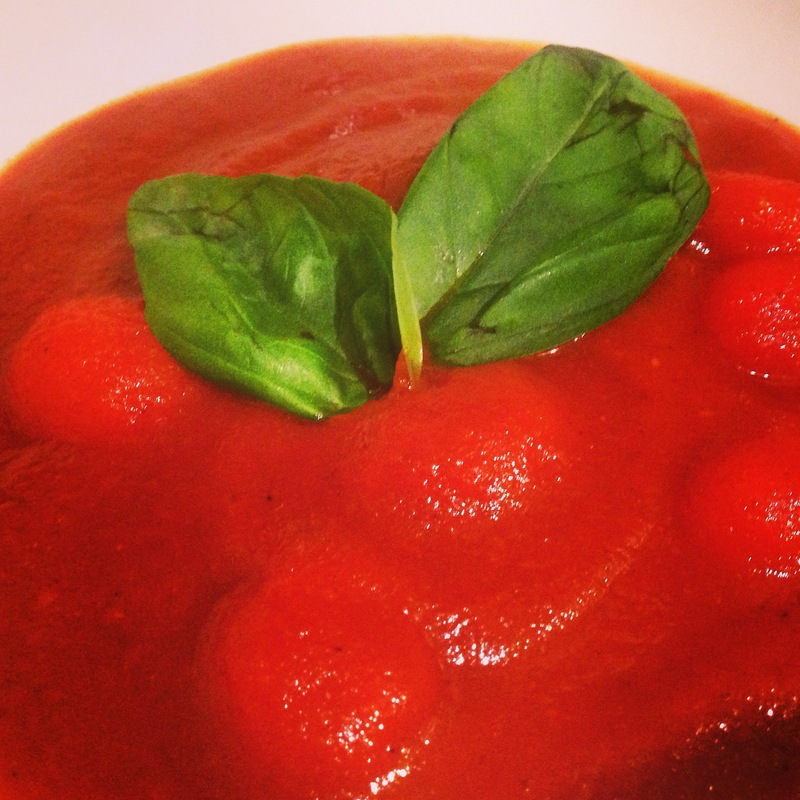 This tomato soup recipe is rich in flavour and can be served hot or cold – which suits the temperamental weather we’re having here in Belfast! I’ve steered clear of using traditional flavours like garlic and oregano in this recipe and used cinnamon and fresh ginger instead to give a warm, spicy base to the soup. The cherry tomatoes are roasted in Broighter Gold‘s cold pressed lemon infused rapeseed oil to give a subtle hint of lemon without making the soup too acidic. If you haven’t tried cooking with rapeseed oil yet, try substituting olive oil for this excellent locally produced rapeseed oil for a more subtle flavour without an overpowering after-taste. It also makes a lovely base for a salad dressing, so with spring trying to rear it’s sleepy head, you should have ample opportunity to taste it soon! I’ve been using Broighter Gold’s oils to make mayonnaise for salads, burgers and croquettas. Their award-winning range includes rosemary & garlic, lemon infused, basil infused and chilli infused oils and when whisked up with a few free range egg yolks, it will give you the most delicious, bright golden mayonnaise – I promise I’ll share the recipe here soon! 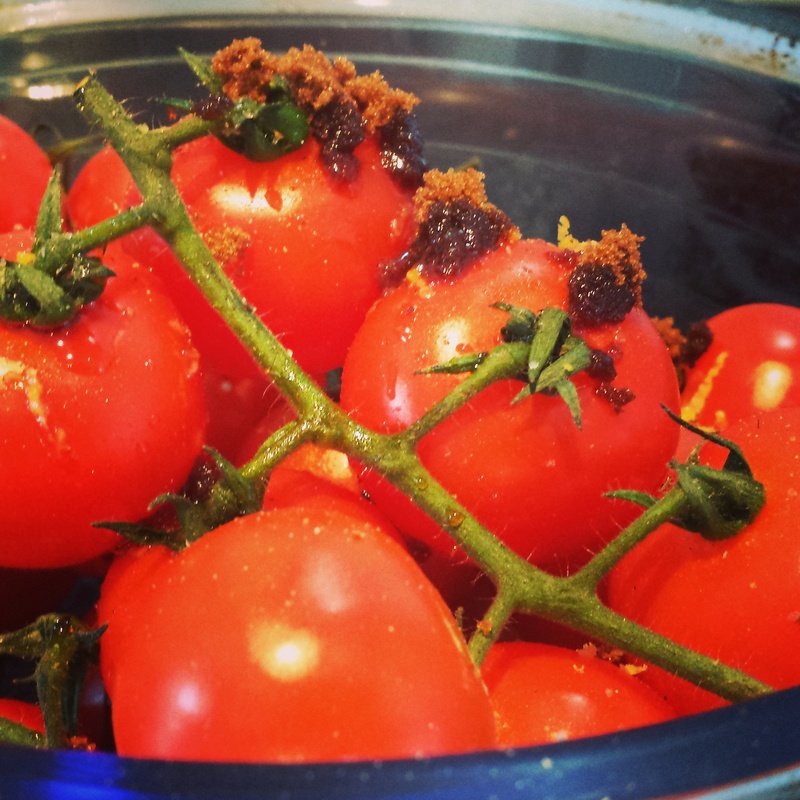 Mix the cherry tomatoes, ginger, oil, brown sugar and cinnamon in an oven proof dish and cook in a pre-heated oven @180oC for 20 minutes. While the tomatoes are cooking, empty two tins of tomatoes and tomato juice into a blender and add the 250mLs of beef stock and blend until smooth to form the base of the soup. Bring the soup to a boil and reduce to a medium heat for 40mins-1hr until it starts to thicken and add the roasted cherry tomatoes just before serving. Serve warm or cold with fresh basil and freshly baked Parmesan crusted poppyseed bread. Share your recipes with us on Twitter, Instagram & Facebook. 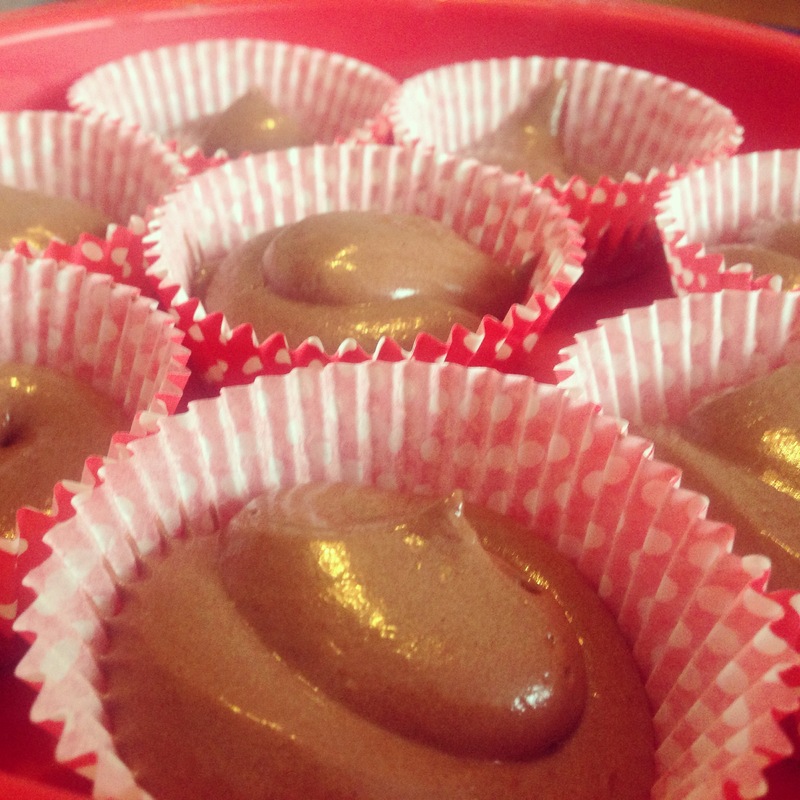 SculleryMade is a Belfast project to share recipes using quality, locally sourced ingredients. Our main recipes include methods for cooking, baking, brewing and curing. Do you ever feel like you just can’t be figged going to much effort in the kitchen?! This recipe is definitely for you! It doesn’t take long to prep, so relax, pour another glass and catch the end of the Sunday game … there’s no rush here! Warm figs and goats cheese pair really well together, but this recipe also works with blackberries or pears instead of figs. There are a couple of artisan producers around the country now producing a selection of fruit-flavoured balsamic vinegars. Burren Balsamics outside Ballynahinch produce a lovely Blackberry balsamic which you could try with this recipe when Blackberry season comes around. For the recipe below, I used Arcadia Delicatessen’s Fig balsam vinegar which offers a lovely versatility in both sweet and savoury dishes. I added mustard and tarragon for a powerful punchy dressing – I hope you enjoy it! Pre-heat your oven to 180oC. 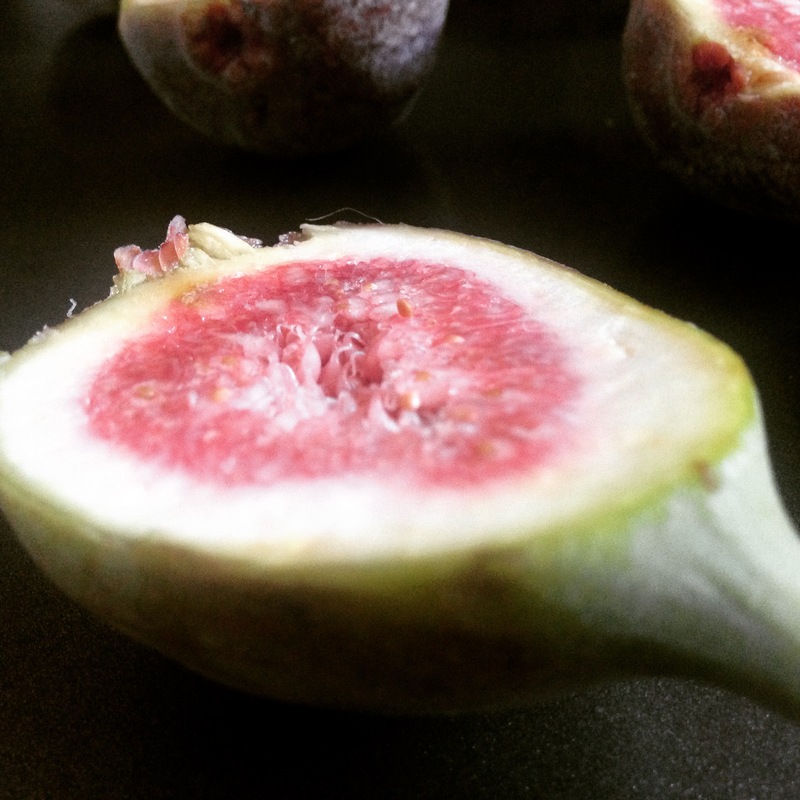 Halve the figs, place on a baking tray skin side down and bake @180oC for 5 minutes. To prepare the dressing, mix the vinegar, oil, mustard and tarragon in a cup and season with salt & pepper. 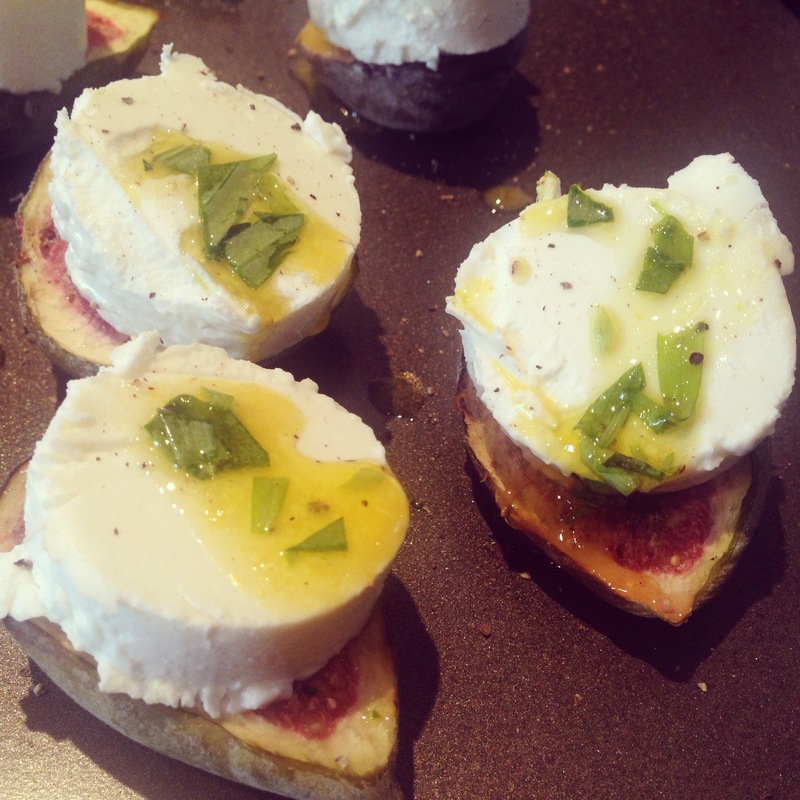 Slice the goats cheese into 8 slices and place on top of the baked figs. Drizzle some dressing over the goats cheese and place the tray back in the oven to bake the figs and the cheese for another 5 minutes @180oC. Drizzle the remaining dressing over the baked cheese before serving and enjoy! Red is my favourite colour and it just so happens that red velvet cupcakes with cream cheese icing are my favourite wee buns! Comic Relief’s Red Nose Day is upon us, so I am sharing this recipe with you so that you too can have a #rednoseday teatime treat with your friends and family! The recipe below is adapted from one shared by the fabulously decadent, Nigella Lawson but I’ve made a few basic changes to the recipe and added a little flavour to the cream cheese icing. I’ve used Abernethy butter for extra creaminess. 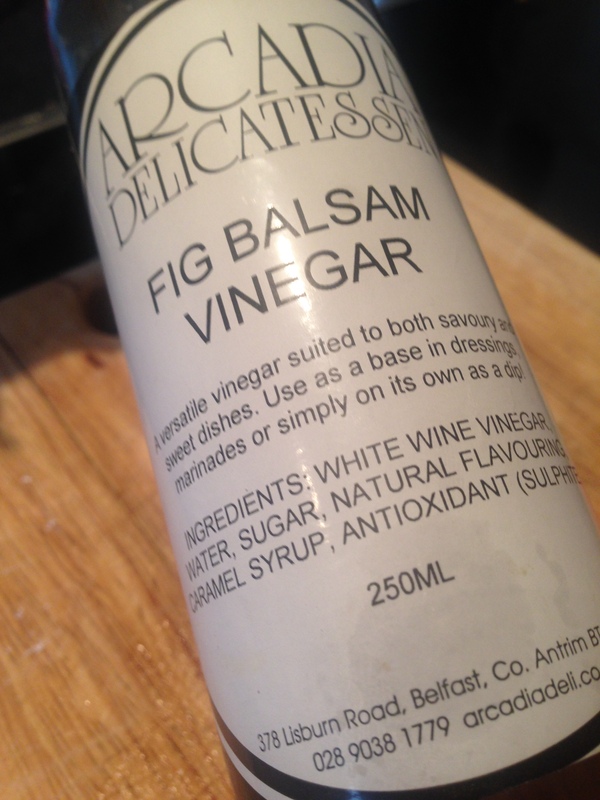 Then, for a hint of acidity in the icing I added Arcadia Delicatessen’s flavourful Fig Balsam Vinegar which is a fantastic ingredient to add to either sweet or savoury dishes. 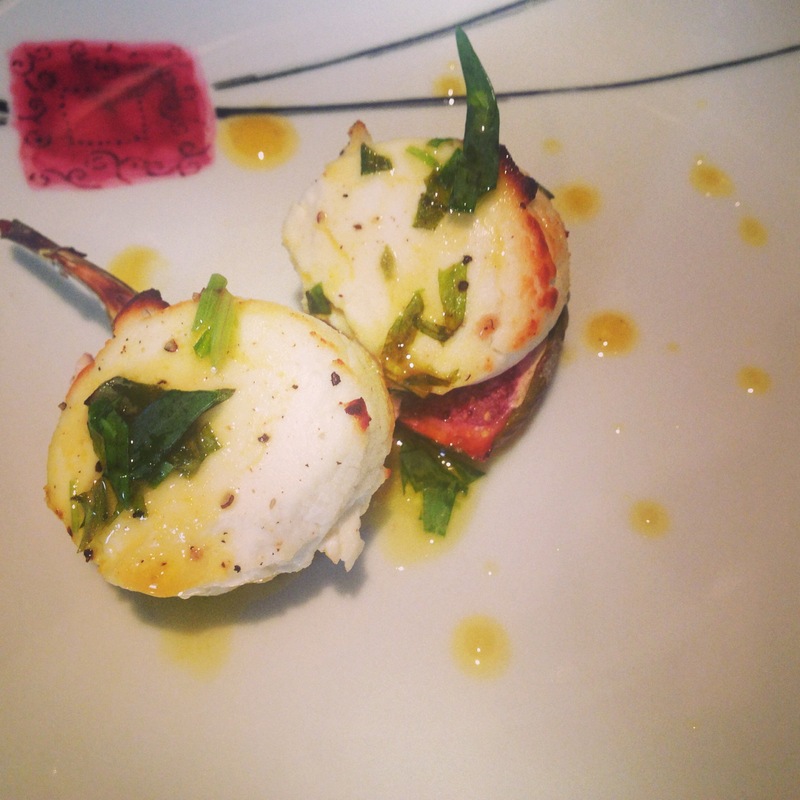 If you’re a fan of the fig, click here for a roasted fig & goat’s cheese recipe that will take your tastebuds to heaven and back… mmm! 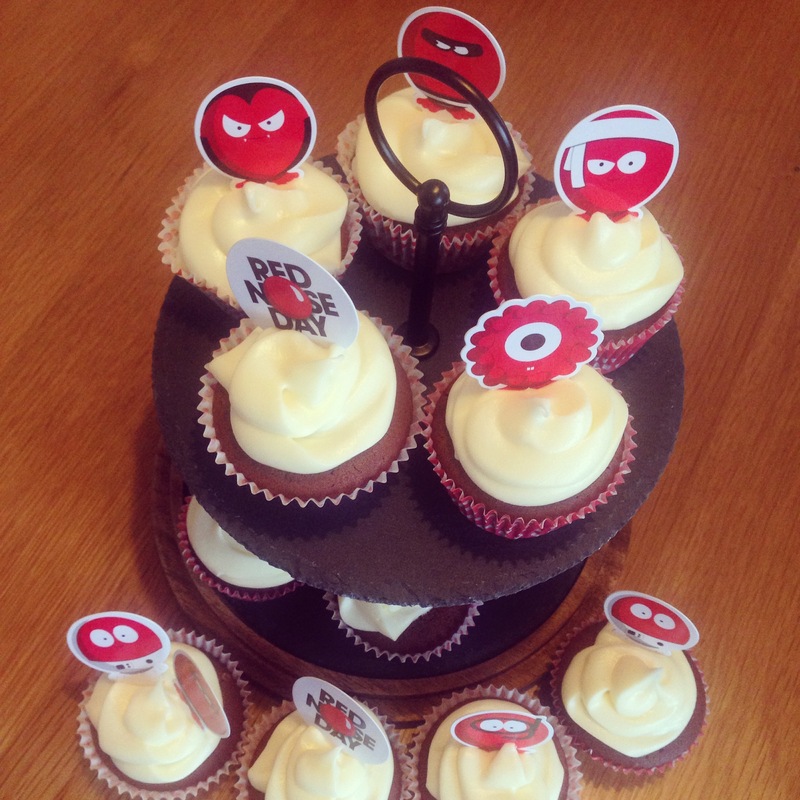 Happy Red Nose Day and remember to snap and share your home made treats with @scullerymade on Facebook, Instagram and Twitter! Calories per serving: who’s counting! Red nose character’s for decoration! Preheat the oven to 170oC and line a baking tray with 18-20 bun cases. Sift the flour, cocoa powder, baking powder and bicarbonate of soda into a mixing bowl. Using an electric mixer, cream the butter and the caster sugar until you have a smooth pale yellow mixture. Continue to mix while adding the food colouring and the vanilla extract. Then to the same bowl, while still mixing, add two tablespoons of the cocoa/flour and one whole egg. Gradually add two more tablespoons of cocoa/flour and the second egg followed gradually by adding the rest of the cocoa/flour. While still mixing the cupcake batter, add Arcadia Deli’s Fig Balsam Vinegar and the butter milk and mix through the batter. Divide the batter between 18-20 bun cases and bake at 170oC for 17-20 mins. Once baked, leave the cupcakes to cool on a metal rack before icing. For the icing, add the cream cheese, butter and icing sugar to a food processor and pour in Arcadia Deli’s Fig Balsam Vinegar. Mix on high until the icing is a smooth, creamy consistency with no visible lumps of icing sugar. Spoon the icing into a plastic piping bag (a sandwich bag will do the job – cut off a small edge on one of the corner’s to pipe) and ice the cupcakes. Please share your recipes with us on Twitter, Instagram & Facebook.